Shun'ei is a member of KOF XIV's "China Team" along with Tung Fu Rue and Meitenkun. 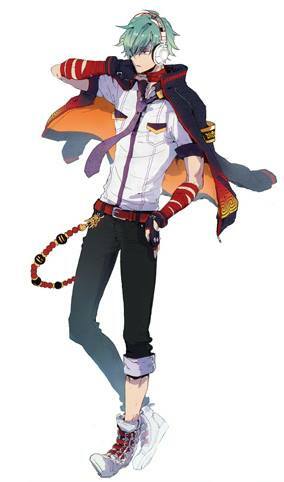 He is the central character of KOF XIV's main story arc.. Shun'ei is a manipulator of illusions. Due to his mysterious powers, he was abandoned at a young age by his parents and was raised as a disciple of Tung. Through his training, he learned to control his hidden powers. As Tung's last disciple, he sets out to challenge other fighters from all over the world with his close friend Meitenkun. It is revealed that the Shun'ei has one of Verse's power on his left-half, one of the two creatures, along with an unknown blue creature, created from the result of Ash Crimson's doing on changing his timeline to erase himself from being Saiki's descendants and kills his ancestor, with their power fragment are somehow implanted Shun'ei when he was a kid in a new timeline. After Verse's defeat, Shun'ei is advised by Kyo to continue his training to keep his powers under control. Shun'ei agrees and vows to train harder. 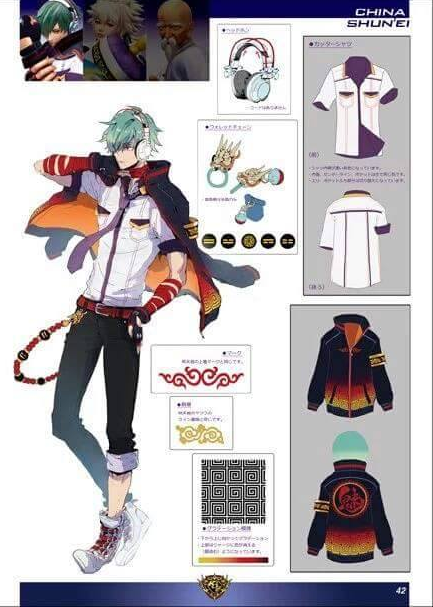 My first thoughts upon seeing Shun'ei were that he looks like a character ripped straight out of Xuan Dou Zhi Wang. Team China also? Makes sense. 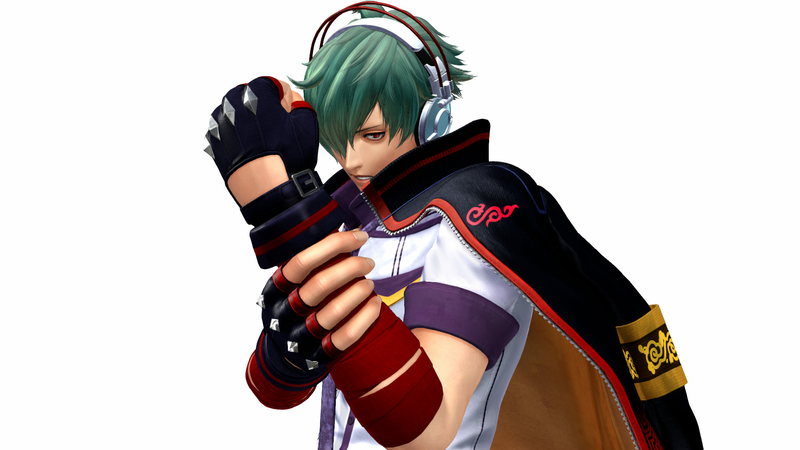 Shun'ei has a pretty straight forward fighting style, which a bit more "agile" than typical fighting game protagonists. Honestly, I find him to be underwhelming as a design, especially as the a new protagonist. His default color scheme looks more like "color 7" if you know what I mean. The pasty green hair isn't working... and his hipster "one pant leg up" look is obnoxious. His stance is also a bit repetitive and animates slightly awkwardly in my opinion (needs more frames of animation). Fighting style-wise, Shun'ei holds up a bit better. I like the flying fists cocnept (which he cleverly shares with the final boss) along with his agile special moves. He hits pretty hard. Overall though, I prefer beating him up... mainly because of his hipster "one pant leg up" look. Seriously dude... that's so 1992.